Your gums play a crucial role in the overall health of your mouth, so keeping them in good condition is essential. 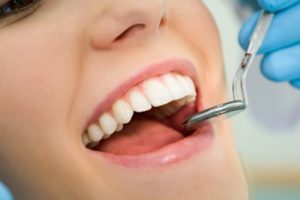 If your Denver dentist has spoken to you about gum disease after spotting some early warning signs of gingivitis, then you may be wondering what you can do to avoid this condition. The following are a few important facts to know about gingivitis prevention. Proper oral hygiene keeps your gums healthy. Gingivitis, which is an early stage of gum disease, is characterized by swollen gums that are often tender and may bleed when the person brushes or flosses their teeth. These symptoms begin because bacteria in the mouth are allowed to build up, and can irritate and infect the gum tissue. Bacteria in your mouth form a film that is easily broken up when you brush your teeth twice per day. However, when the film is left alone for too long, it hardens into plaque, which sets the mouth up for gum disease. Plaque can harden further into a substance called tartar, which requires seeing a dentist to be removed. Visiting your dentist can help prevent gum problems. Setting aside time to see your dentist twice every year for an exam and cleaning can do more than help keep your teeth healthy. Your dentist will be able to spot the early signs of gingivitis, if present, and discuss what you can do to reverse the condition. Also, regular cleanings can help keep plaque and tartar under control, which is important for maintaining healthy gums. If you do develop gingivitis and it is left untreated, this condition can worsen into periodontal disease, a more serious problem that can promote tooth decay and even tooth loss. Good nutrition can reduce your risk for gum disease. In addition to brushing your teeth and seeing your dentist, making good dietary choices can help prevent gingivitis. Dairy products, like yogurt and cheese, are high in both calcium and protein, which are both important for healthy teeth and gums. Eating lean meats, fruits, and vegetables is also recommended for maintaining your oral health.